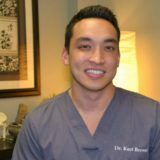 Dr. Kurt Brewer has earned his Doctorate of Chiropractic with advanced training in functional rehabilitation, acupuncture, manual medicine, sports injury care and nutritional counseling. He enjoys weight training and mixed martial arts. Dr. Brewer is a member of the American Chiropractic Association and is Certified in both McKenzie Technique and Acupuncture.